CTA officials had previously briefed transit management and the office of Mayor Rahm Emanuel about the fare hike increase, and the Mayor had signaled that the increase was acceptable to City Hall. The Civic Federation responded to the increase by criticizing the fiscal assumptions underlying the CTA’s budget and fare hike approval. The Federation states that Chicago-area public transit is facing growing systemic challenges; they attribute many of these challenges to the overall State budget situation and the long-term dependency of the CTA system on insecure sources of revenue. In particular, the CTA’s dependence on local sales tax revenues is expected to cause growing problems. Sales taxes are charged on tangible goods purchased in stores, but Chicago-area consumer activity is projected to continue to move from brick-and-mortar retail goods to Internet goods. In addition untaxed items, such as medical care, continue to take up larger shares of American consumer spending. CTA base fares were last increased in 2009, when the price of a bus ride was increased from $1.75 to $2.00 and the cost of a train ride from increased from $2.00 to $2.25. The 2018 fare hike will increase these prices to $2.25 and $2.50. The budget and fare increase were approved by the CTA board on Wednesday, December 13. State to establish accessible database on day care child safety. HB 2388, enacted earlier in 2017, becomes effective on January 1, 2018. The bill directs the Department of Children and Family Services (DCFS) to establish and maintain an accessible-to-the-public database on key facts involving day care safety and security. The database shall provide information on whether, within the past five years, a day care center had its license revoked or if its application for license renewal was denied by the Department. 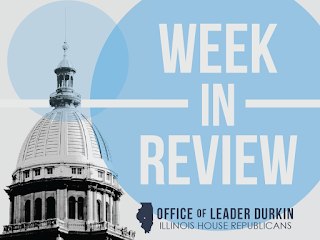 Under the law prior to the enactment of this bill, a day care center could win back its license by appealing a decision by DCFS to revoke or to refuse to renew, and DCFS had no legal way to tell the public that the original decision had been made. Enactment of HB 2388 closes this loophole. Governor Rauner enacts legislation to combat fraudulent opioid prescriptions. Gov. 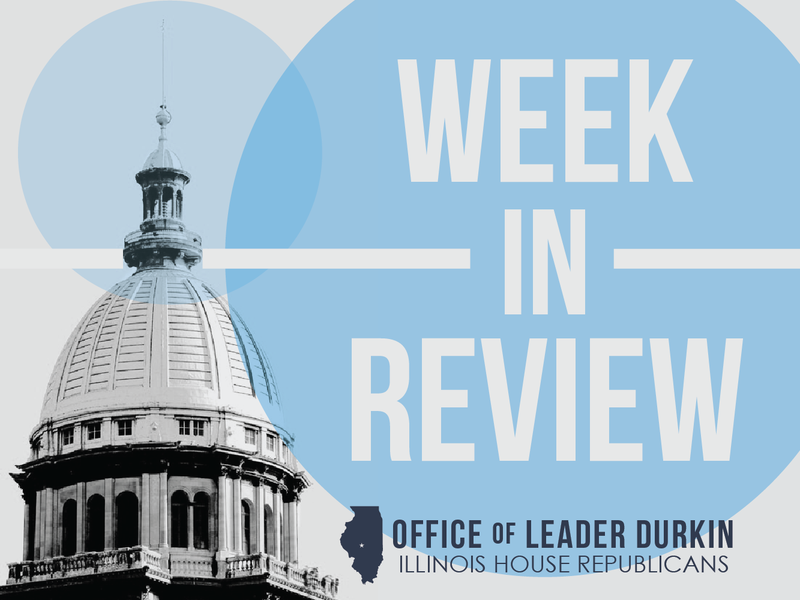 Bruce Rauner has signed into law SB 772, legislation that will require prescribers with an Illinois Controlled Substance License to register with and use the Illinois Prescription Monitoring Program (PMP), a database that records patient prescription history. The PMP allows physicians to check previous patient prescriptions and requests for controlled substances. Increasing the required checkpoints in advance of prescribing controlled substances will cut down on “doctor-shopping,” the practice of patients obtaining opioid prescriptions from multiple physicians. Sarah Pointer, clinical director of the PMP, said the new monitoring program requirements will be integral to combatting the crisis within Illinois. The Illinois Department of Human Services (DHS) maintains the PMP database. Physicians not in compliance may be subject to disciplinary action by the Illinois Department of Financial and Professional Regulation (IDFPR). SB 772 takes effect on Jan. 1, 2018. Police training will include awareness of mental health issues. HB 375, enacted earlier in 2017, becomes effective on January 1, 2018. The measure directs the Illinois Law Enforcement Training Standards Board (the Police Training Board) to create an introductory course for adult law enforcement officers to increase their awareness of mental health issues. This course should improve the professional responses of Illinois law enforcement officers, including their rapid responses, when they are challenged by situations that include someone who is facing mental health issues. The Police Training Board course will include elements of conduct to de-escalate a potential crisis situation and to offer help to potential victims of a challenged person, including victims of domestic violence. New opportunity for volunteer decals on license plates. HB 2437, enacted earlier in 2017, becomes effective on January 1, 2018. The decals authorized by this new law, to be issued by the Department of Human Services for Illinois license plates, ae meant to allow volunteers in recognized service organizations to show pride in their affiliations. Display of the decals will also increase awareness of volunteerism in Illinois. The Illinois volunteer decal bill was sponsored by House Republican Rep. Steven Andersson. ID wristlets authorized in nursing homes. HB 223, enacted earlier in 2017, becomes effective on January 1, 2018. This bill authorizes a nursing home, upon the advice and order of a physician, to require that their residents wear identification wristlets. Physicians often advise their patients and caregivers to take steps to securely identify a patient who has a history of moving about without a fixed destination or ability to firmly identify said patient. Each wristlet will contain the resident’s name and the name, phone number, and address of the person’s place of residence. A wristlet order of this type can be overridden at the request of a patient’s power-of-attorney-holder or legal guardian. New postage stamp to celebrate Illinois bicentennial. The “Illinois 1818” postage stamp, to be issued in 2018 for Illinois’s 200th birthday, will have no denomination and will be permanently valid for U.S. postage use. The U.S. Postal Service (USPS) stamp’s simple design features twenty stars, paying tribute to the first 20 American states, and then superimposed on an outline map of Illinois is the image of a rising sun in honor of Illinois, the 21st state. The Flag Act of 1818, enacted on the eve of Illinois’ entry into the Union, standardized the custom of adding one star for each state and keeping thirteen stripes for the original 13 States. Another 2018 USPS stamp will commemorate the Flag Act flag.